The state of Maine offers one school for students interested in pursuing a master's in communication degree. The University of Maine in Orono offers traditional on-campus Master of Arts in Communication and Master of Arts in Mass Communication programs that provide a background in communication theory, research, and practice to prepare students for advanced academic study in communication, as well as for expanded careers in the communication field. Upon graduation, students will be well prepared for careers in one of Maine's major industries such as finance, tourism, healthcare, and food manufacturing, in addition to textile, paper and wood export businesses. Major companies that call Maine home and provide potential career opportunities for communications experts include L.L. Bean, Bangor Bancorp, IDEXX Laboratories, Cabela's, and Maine Health, as well as marketing and communications companies in Bangor, Portland, and Augusta. The University of Maine in Orono offers Master of Arts degrees in Communication and Mass Communication. What to Know: The M.A. in Communication and M.A. in Mass Communication programs enroll around 24 students per year and both degree tracks provide students with a foundation for doctoral study or career advancement in various areas of professional communication following graduation. What Does It Cost? 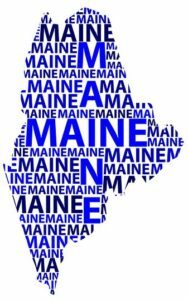 : Graduate level tuition and fees at the University of Maine for the 2017-2018 school year was $4,442 per semester for Maine residents based on a 9-credit hour course load, and $13,154 per semester for non-residents for the same course load. Anything Else? : The application deadline for admission is January 15. The program culminates in either a thesis or a research paper and comprehensive examination combo.